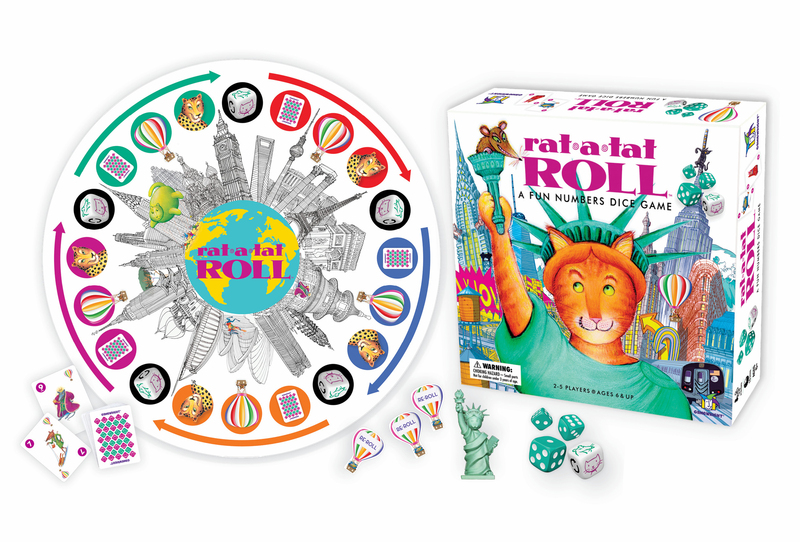 Roll around the world with Rat-a-Tat Cat! 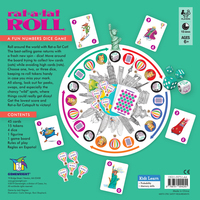 The best-selling game returns with a fresh new spin - dice! 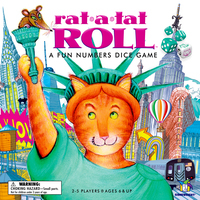 Move around the board trying to collect low cards (cats) while avoiding high cards (rats). Choose one, two, or three dice, keeping re-roll tokens handy in case you miss your mark. All along, look out for peeks, swaps, and especially the chancy “wild” spots, where things could really get dicey! Get the lowest score and Rat-a-Tat Catapult to victory! 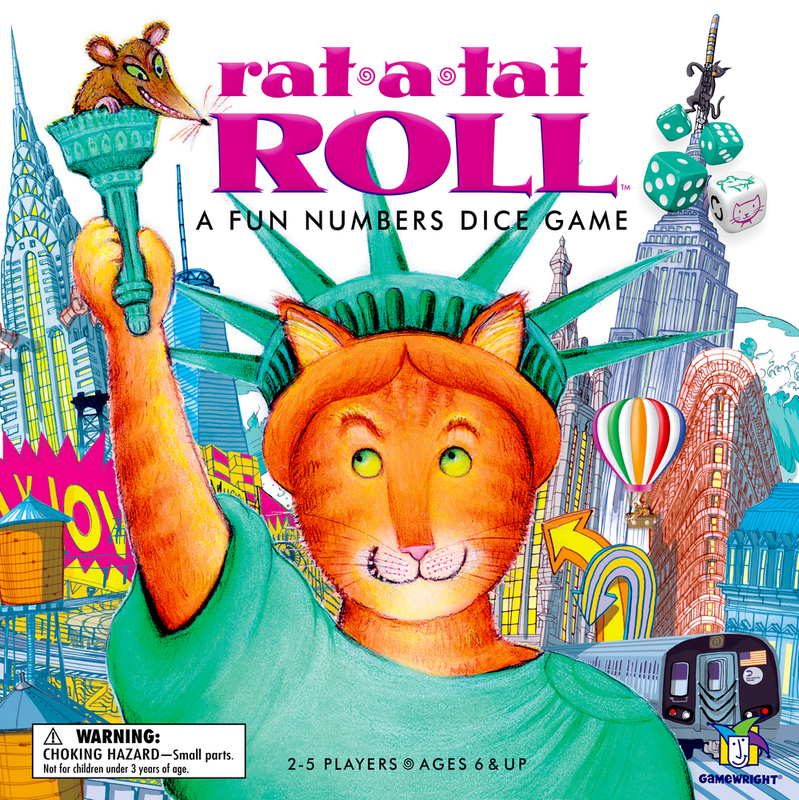 It’s been over 20 years since we released Rat-a-Tat Cat and, while we weren’t specifically looking for a new companion game, we’ve always kept our eyes out for games that might complement this Gamewright classic. 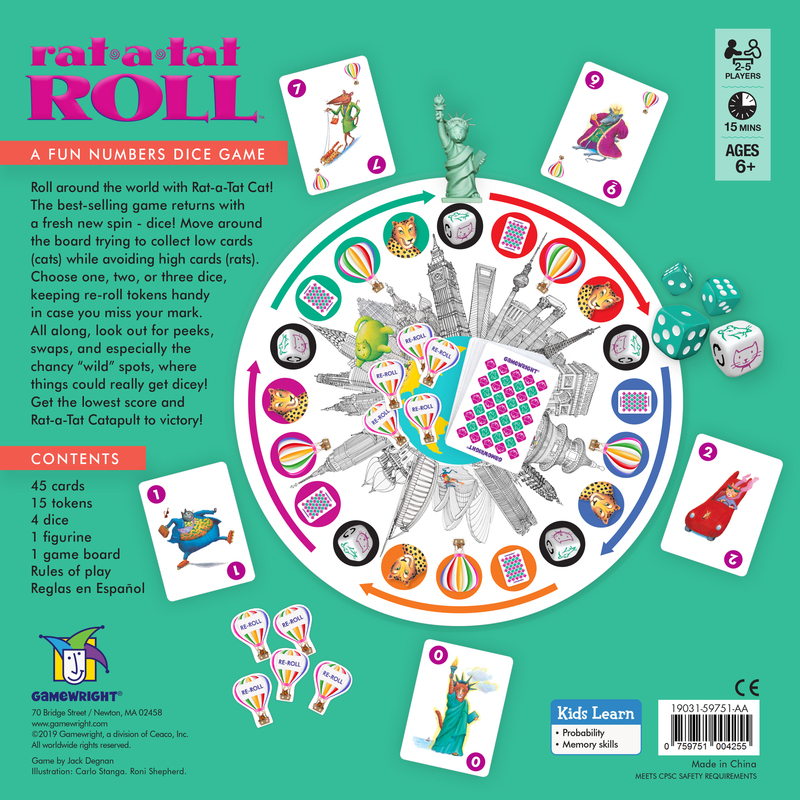 With the ability to choose the number of dice to roll each turn, you’ll quickly learn learn that sometimes your choices will pay off, and other times, your best laid plans may be thwarted by an unlucky roll! Item size: 9.5" x 9.5" x 2.25"
Carton size: 10.62" x 10.62" x 15.16"